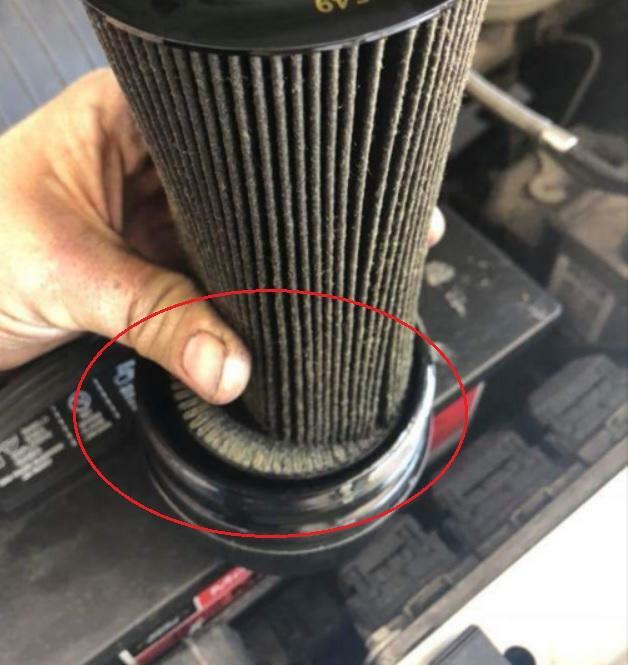 I am an advocate of FORD filters only on a 6.0 but I'm failing to see the issue here with this pic? what am I missing? See all the pleats torn off the bottom? 6.0s are a picky beast, I had problems with the cover orings when it was really cold-they had a tendency to push out oil. Wow, it seems like STP filters are not worth getting. If I recall this is the second one that has shown deficiencies. Complete separation of the bottom.. about 1/2 of the pleats. Extremely bad. Ahhh, totally missed that! I was staring at the top and the felt seal where the camera was focused! What is the oil pressure issue with that engine? 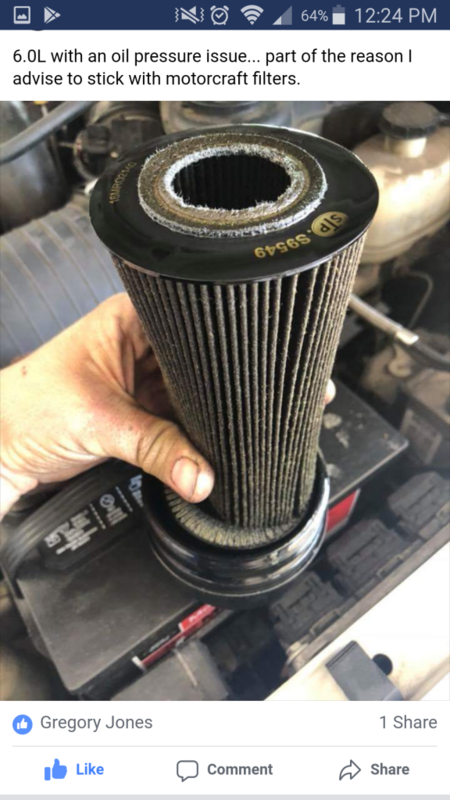 6.0 PSDs are a unique case-I'm not a huge fan of MC oil filters, but I wouldn't run anything else on a 6.0, they're super picky. The '03 E-350 van I had was always doing something weird-it hated 15W40 (& even 10W30!) in winter, even with new batteries & FICM. Holy cow! I wouldn't trust those filters again, did he contact STP?